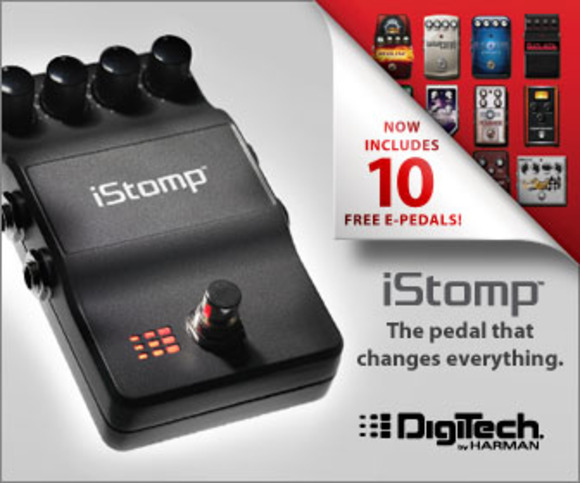 SALT LAKE CITY, Utah — HARMAN’s DigiTech today announced it is now shipping its iStomp Programmable Pedal, pre-loaded with 10 of its most popular e-pedals and now features an updated Stomp Shop app where guitarists are able to try any pedal for free for up to five minutes. “When we introduced the iStomp we led a new product category that changed the way guitarists and musicians thought about creating their tone. 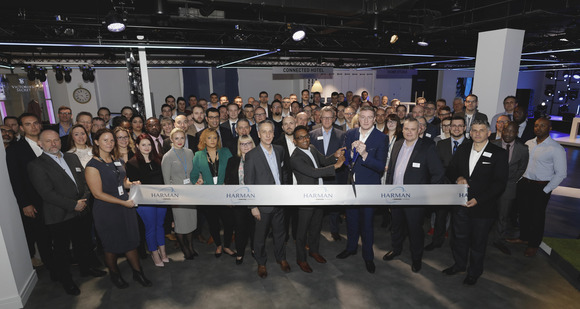 With each new e-pedal introduction we have expanded their capabilities and brought a new level of utility and functionality never before available. The addition of eight more e-pedals included with the Stomp Shop update underscores our commitment to continuing to improve our offerings in the downloadable pedal category,” explained Scott Klimt, marketing manager for DigiTech. The updated Stomp Shop app features faster image and sound clip downloading for demoing new e-pedals, new store front themes giving users the ability to customize their online interface, and new clearer settings that reset the LED color on the iStomp for each new e-pedal. The iStomp pedal, which easily connects to an Apple iOS device using the DigiTech Smart Cable that comes with the iStomp, offers endless options when testing unfamiliar sounds. With four knobs to control effects parameters that change their function according to which effect is loaded, every musician can create his or her signature sound. The DigiTech iStomp sells at a suggested retail of $229.95 and comes with an iOS authorization cable and power supply, with e-pedals available from $4.99 to $19.99.